Throughout human history, culture has been made by people telling one another stories, building on what has come before, and making it their own. Every generation, every storyteller puts their own spin on old tales to reflect their own values and changing times. This creative remixing happens today and it happens in spite of the legal cloud cast by copyright law. Many of our modern cultural icons are “owned” by a small number of content companies. We rework popular stories to critique them or assign new meanings to them, telling our own stories about well-known characters and settings. 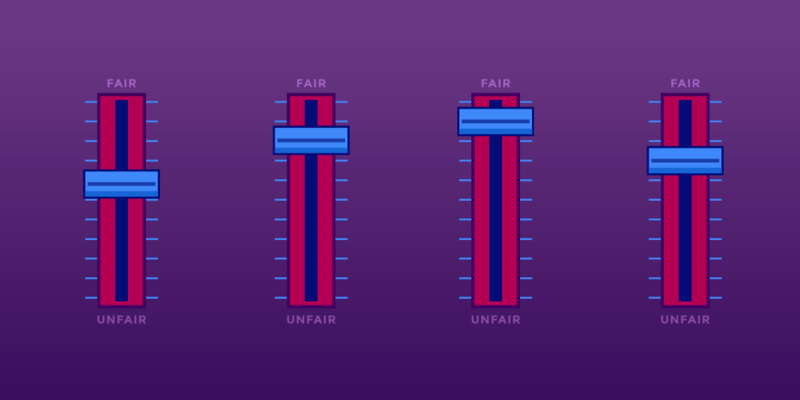 When copyright holders try to shut us down, fair use helps us fight back. * Fan fiction – Kirk and Spock can be gay and Uhura can captain the Enterprise, or that boa constrictor from the zoo scene can become Harry’s familiar instead of taking off for Brazil. * Photoshop battles – one goofy-looking squirrel might find itself reworked as a Jedi Knight, an astronaut landing on the moon, or out hunting with Vladimir Putin. * Fan music videos – the feelings evoked by a song are reinforced or subverted by playing it over clips from a TV show or movie, for instance highlighting that a character who is used as a plot device really wasn’t doing okay and that their story could be just as deep and interesting as the main characters’. * Redubbing and resubbing – if you don’t speak German, you have to trust the subtitles to tell you what Hitler is ranting about, and even if you do then someone can still dub it over with new words. * Reaction videos – experiencing media is always different when you’re with someone else, and some people’s reactions are their own kind of entertainment. * “Let’s Play” videos – all kinds of people from teenagers to celebrities can be found playing video games and tabletop games and sharing their experiences online, building community and giving viewers a deep sense of what the game is like so they can decide whether they want to play. These forms of expression are central to many people's cultural experience, but they exist in a legal gray area due to copyright law. Most would be lawful fair uses, but it’s expensive and often unpredictable to defend against a copyright lawsuit, and there are plenty of rightsholders who would scream bloody murder at the idea that any of those remix activities are lawful without paying them for the privilege. Fair use, unfortunately, places the burden of justifying speech on the speaker, rather than presuming speech to be permissible unless proven otherwise by the would-be censor. This is one of many reasons that copyright is an aberration in the realm of speech regulation. Copyright is also unusual in that a rightsholder can sue for extraordinary damages even if they have not suffered any actual harm from your activities. When the law assigns some people the power to control what stories others tell, it distorts culture. The founders of the United States thought that a limited version of this power was a necessary evil to promote the creation of maps and certain other creative works, but they tried to restrain its impact on culture by limiting rightsholders' control to verbatim reproductions and limiting the duration of copyright to fourteen years. And indeed, copyright law is at its best when it is narrowly tailored to protect individual and small business creators from losing economic opportunities to companies that could copy their work and more rapidly bring it to market. The United States has departed from its original, limited, conception of copyright and instead has incubated and exported a mutant speech-regulation regime that grants broad control to rightsholders, typically for the entire period of a work's cultural significance (and then some). To put it in perspective, you are still bound by copyrights that were created before "talkies" arrived in theaters in the mid-1920s. When copyright law fails to protect people who express themselves using culture "owned" by others, it muffles the vast majority of us in order to highlight voices curated by a select few gatekeepers whose experiences and values are far from representative. UCLA's Bunche Center for African American Studies recently highlighted the lack of diversity in Hollywood, a problem that appears across media and is oft-lamented by creators and audiences from underrepresented populations. When copyright law prevents us from telling our own stories using characters and symbols that have achieved cultural significance, it reinforces narratives -- often harmful narratives -- controlled by a tiny demographic mostly consisting of wealthy, straight, white men. The government shouldn't be in the business of elevating those voices over others via copyright policy. The Supreme Court has said that fair use is a substantial part of what makes copyright consistent with the First Amendment. To truly live up to that aspiration, fair use and other limitations on copyright enforcement have to do more to protect the public's ability to participate in reshaping culture and contesting the meaning of cultural symbols, rather than allowing copyright owners to punish people for self-expression. This Week is Fair Use Week, an annual celebration of the important doctrines of fair use and fair dealing. It is designed to highlight and promote the opportunities presented by fair use and fair dealing, celebrate successful stories, and explain these doctrines.